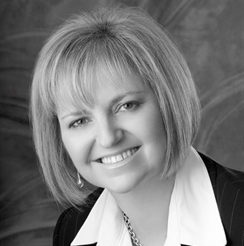 With over 30 years of financial services experience, Christine Mavrikos has been actively focused on providing comprehensive wealth management solutions to high net worth individuals and families, estates & trusts and charitable and business organizations. Christine has demonstrated a commitment to continuous education and has earned the professional designation of Certified Financial Planner (CFP). In addition, she has complete the Canadian Securities Course (CSC), the Certified International Wealth Manager (CIWM) and has a BA in Commerce degree from the University of Toronto. A resident of Victoria, Christine is a member of Victoria Estate Planning Council and is actively involved in the community. When Christine has a spare moment, she likes to travel to visit her vacation home in Scottsdale, Arizona. She is married with a blended family of seven children and five grandchildren. Christine is an experienced financial services professional and will work with you every step of the way to help you progress towards achieving the goals and dreams that you and your family share for your work and career, well-being, home, lifestyle and legacy.